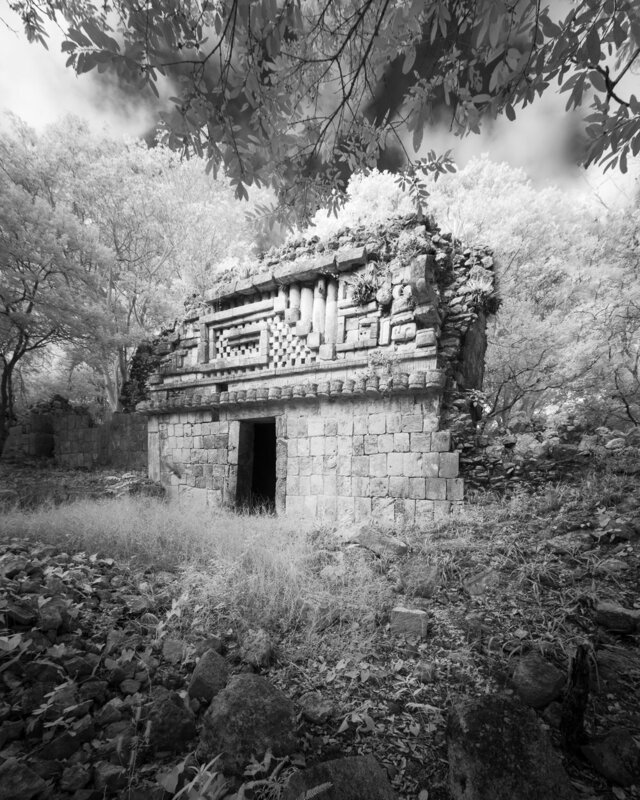 This series of infrared images of Mayan ruins, built between 800 and 1,300 years ago, was shot over tree trips between 2014 and 2018 in Yucatan and Campeche. 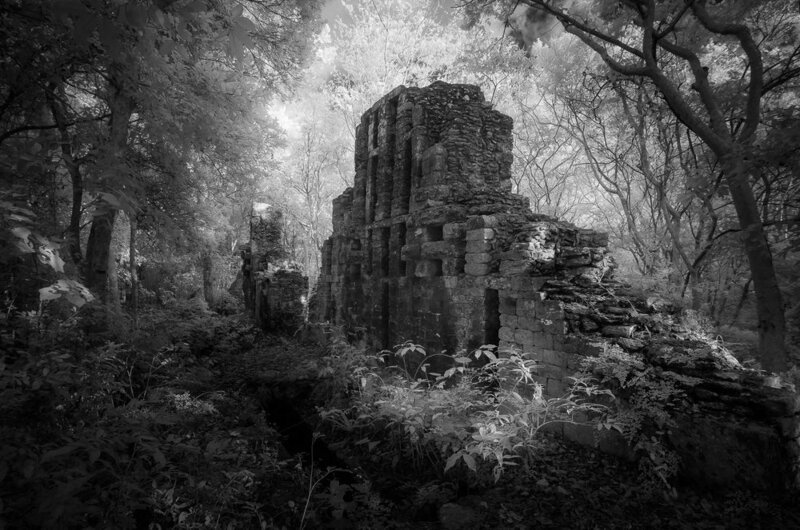 The ruins you'll see in this series are not open to the public. 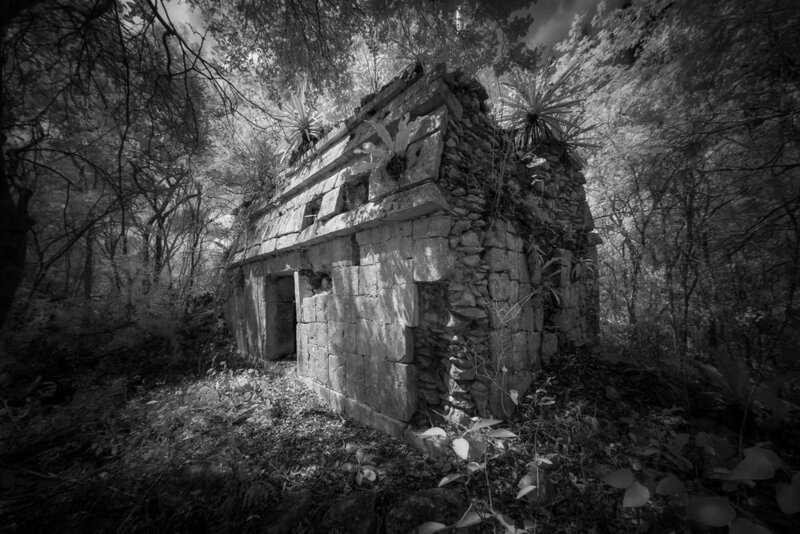 Most people know the large ruins at Uxmal, Calakmul or Chichen Itza but those aren’t the only Mayan ruins on the Yucatan peninsula. 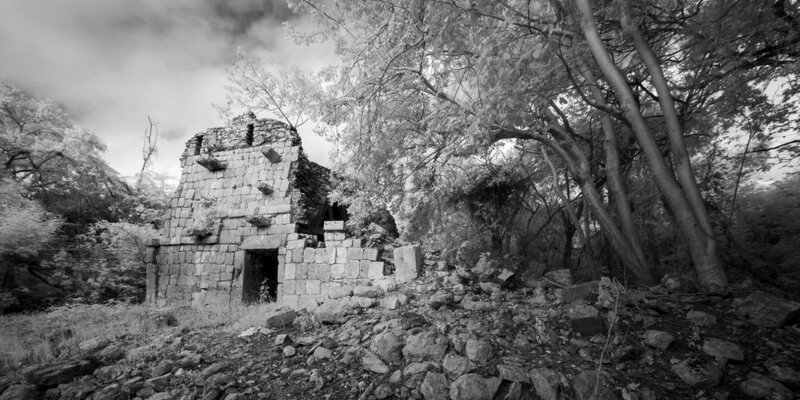 Ruins from smaller settlements and satellite cities are scattered all over. 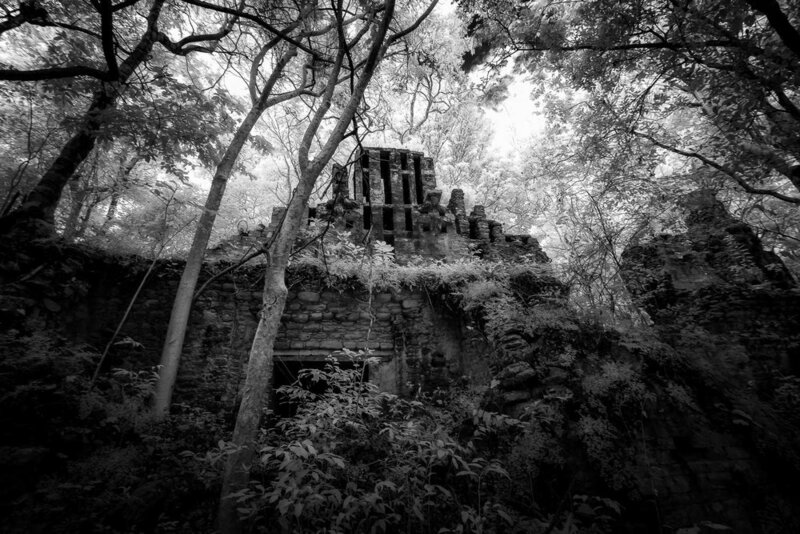 If you know where they are (or, in my case, if you’re lucky enough to know someone who knows where they are) you can see these amazing places alone in the jungle, partially overgrown, echoes of their former glory. It’s hard to express the feeling of standing in front of these ruins – it’s a combination of awe and amazement and wonder. What an incredible privilege it was for me to see and photograph them. 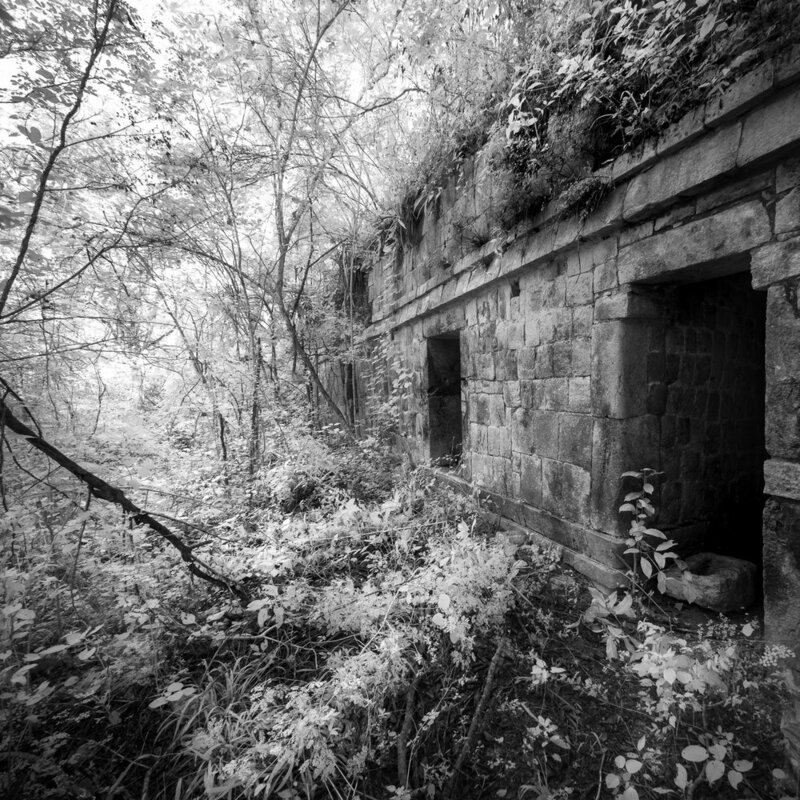 This series consists entirely of images taken with a converted infrared camera – a camera that has been altered so that it can read and record infrared light. 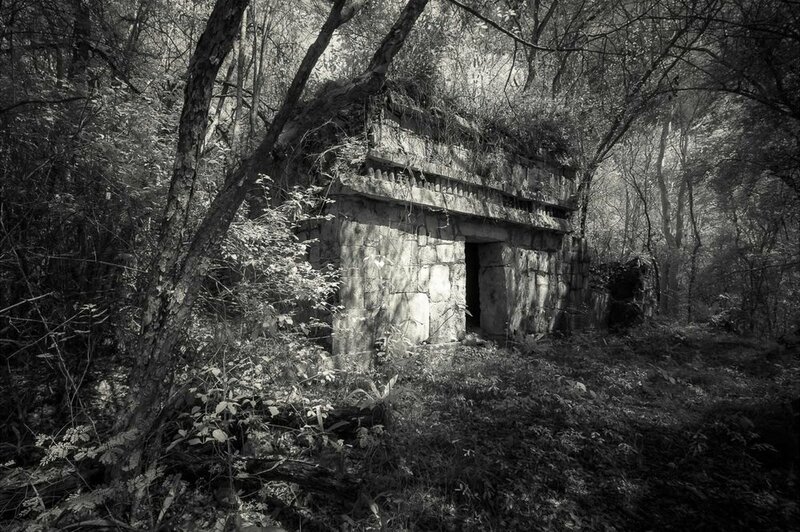 Infrared was unquestionably the right choice for this series: it was able to handle the harsh, dappled light of the jungle but, more importantly, it created an ethereal, magical feeling that expressed how I felt standing in front of these amazing sites.